The Quilt Surface Design Symposium 2012 is the most comprehensive and highest quality art quilt conference in the world and is proudly sponsored by Quilt Surface Design International, Ltd. 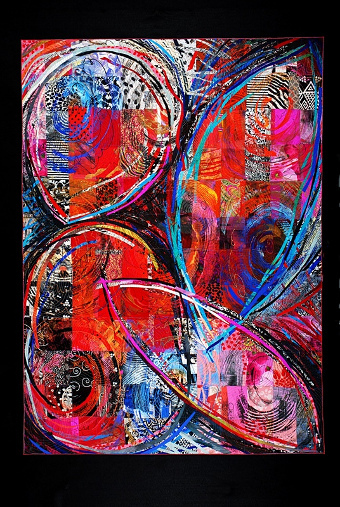 It has been critical to the non-traditional quilt movement in providing education for all those interested in exploring their own potential in the medium. It offers top teachers worldwide who annually present workshops. The 2012 Conference has been scheduled for May 28, 2012 through June 10, 2012 in Columbus, Ohio. Sessions are held at the Columbus College of Art and Design and include classes, lectures, exhibits, and tours emphasizing art, sewing techniques, surface design of fabric, and professional development. Registration is open for this year’s event. Students may view prices and/or sign up now for any number of two-day, five-day and seven-day classes. For more information, visit http://www.qsds.com/ or if you have any questions contact Tracy Rieger at tracy@qsds.com.